This book provides an invaluable insight into one of the most influential global industries. It covers: publishing; broadcasting; newspapers and journals; advertising and public relations. Each section provides the reader with an analysis of potential costs and incomes, together with opportunities and associated risks. 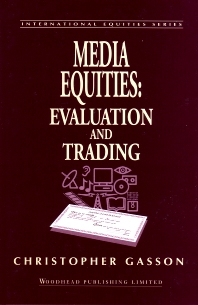 This provides a highly structured and informative view of the media industry. The final section provides an overview of the current developments and possibilities for the future. Web 2.0; The potential of social media; The potential of wikis; Relevant security threats; Social media sites; Social engineering; Web applications within social media sites; Security controls applied to the participation-collaboration pattern; Types of security control; Stages in deciding on security controls; Who is involved in security? Acceptable use practices; Reasons for acceptable use policies; Content of acceptable use policies; Acceptable use policies for citizens; Acceptable use policies for public service employees; Parental participation-collaboration in schools; Security controls; Governmental involvement.